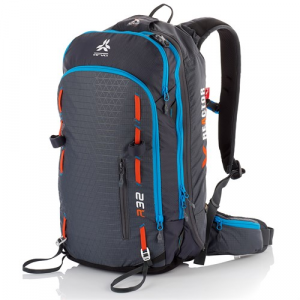 The Arva Reactor 32 Airbag Pack is a technical airbag pack ideal for longer tours. With REACTOR technology, this 32-liter option has a plethora of storage space thanks to a streamlined layout inside the compartment. The airbag itself offers a dual chamber system with a baffle in the center for protection in case of a single bag puncture. The design also enables smart head protection for helmets and moving snow. As a last line of defense, you'll be stoked to have the Arva Reactor 32 Airbag Pack at the ready.